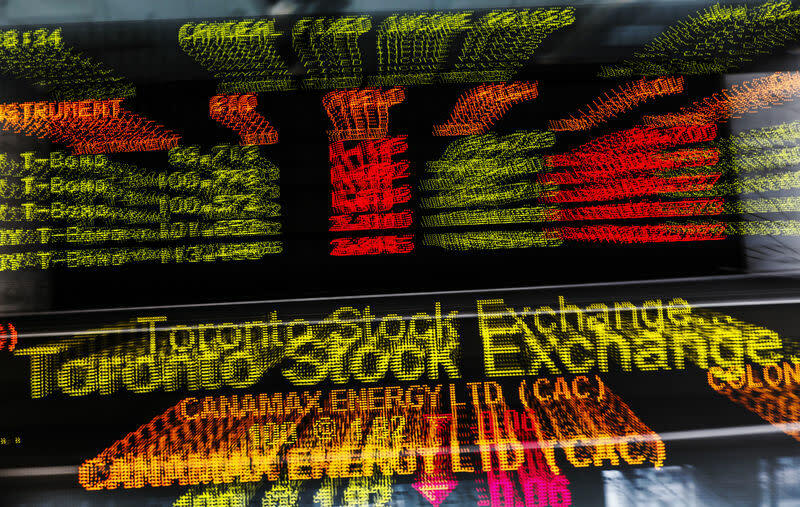 (Reuters) - Canada's main stock index remained flat on Thursday, as robust earnings by a handful of companies helped offset losses in energy shares. * At 9:40 a.m. ET (1440 GMT), the Toronto Stock Exchange's S&P/TSX Composite index was up 8.46 points, or 0.06 percent, at 15,377.89. * Seven of the index's 11 major sectors were higher, led by gains in the consumer discretionary sector, which rose 1.5 percent. * Strong earnings reports from auto parts maker Magna International Inc and retailer Canadian Tire Corp Ltd helped lift the consumer discretionary sector. * Magna shares gained more than 3 percent, while Canadian Tire jumped nearly 8 percent. * The financial sector rose 0.3 percent after two of Canada's biggest insurers, Manulife Financial Corp and Sun Life Financial, posted third-quarter earnings that surpassed market expectations, helped by sales growth in Asia. * U.S. crude prices were down 0.7 percent, while Brent crude lost 0.7 percent. * The industrials sector edged down 0.2 percent after shares in Bombardier Inc fell 9 percent. The company said it would sell two of its units for $900 million and cut about 5,000 jobs. * Data from the Canada Mortgage and Housing Corporation showed Canadian housing starts rose in October. * On the TSX, 100 issues were higher, while 135 issues declined for a 1.35-to-1 ratio to the downside, with traded volume touching 20.70 million shares. * Top percentage gainers on the TSX were shares of Pason Systems Inc, which jumped 14.6 percent, after reporting quarterly revenue that surpassed expectations. * Altus Group fell 10.9 percent, the most on the TSX, after posting quarterly results that fell below expectations. * The most heavily traded shares by volume were Bombardier B, Aurora Cannabis and Trevali Mining. * The TSX posted two new 52-week highs and five new lows. * Across all Canadian issues, there were five new 52-week highs and 18 new lows, with total volume touching 32.10 million shares.